In our fruitful land of Anatolia, lemons are a miracle we can easily access and at very little cost. Lemons are known to be a source high in Vitamin C and is used as an effective tool for battling high blood pressure. But does this miraculous fruit have other benefits? Of course, it does! Curious scientists have conducted research on lemons and have discovered different ways of benefiting from them through methods easily adaptable to our daily lives. 1- Lemon for house cleaningThe cleaning products you use in your home contain extremely harmful chemicals. If you want to avoid the hazards of such cleaning products, I recommend you go to the kitchen immediately and start squeezing a lemon. Mix equal amounts of water and lemon juice in a spray container and you will have spotless mirrors and windows. In order to remove soap scum from around bathroom taps and shower cabin drains drains, squeeze a lemon directly onto the surface and scrub lightly - you will soon be watching the stains disappear. White clothes that turn to grey after a while always look dirty no matter how many times you wash them. Using bleach-containing chemical ingredients is normally the first step taken in order to avoid such appearance. Yet, there are other ways to have snow-white laundry. Just add a measure of lemon juice to the detergent drawer of your washing machine. By doing this, you can avoid the chemical effects of bleach. Research conducted indicates that you can also apply lemon to remove stains on carpets and upholstery. Mix a bit of lemon juice with salt as soon as you notice the stain and scrub it with the mixture. 2- Lemon for skin blemishesIf blemishes that appear on your skin are bothering you, lemon juice might be your biggest helper in removing them. What you need to do is pretty simple: Squeeze the juice of a lemon each day and apply it to the blemish and wait for five to 15 minutes. You will notice within a few weeks that the color of the blemish will become lighter and your skin will start turning back to its natural color. 3- Lemon for extreme white teethWhite and stainless teeth mean perfect smiles. Stop wasting your money on toothpaste and special whitening pastes and start benefiting from the miracles waiting to be discovered in your kitchen. Mix lemon juice and soda in a small bowl. First, clean your teeth by rinsing with water. Then, wet cotton swabs with this mixture and rub it onto your teeth. Wait for just one minute and then brush your teeth softly. Be aware that it is of utmost importance to abide by the instructions written here. The citric acid found in the mix may cause undesired consequences by abrading tooth enamel. Therefore, you should not leave the mixture on your teeth for more than a minute. Do not think that you will have whiter teeth if you wait for longer. 4- Lemon for sore throatIf you have a sore throat that is bothering you, lemon might be your best natural remedy. Gargling with lemon juice or adding a slice of lemon to your hot tea will help you feel better. While it helps cure your sore throat, thanks to its anti-bacterial properties, it will fight the germs in your throat and help your body to fight against other diseases. Get rid of room odors without using the usual chemicals in sprays and plug-in air fresheners by simply using lemon. Do not forget that such room odors only camouflage the odors instead of getting rid of them. What you need to do in order to get rid of bad odors is to use natural and harmless methods. Divide a lemon into two and place it in a saucepan on low heat. If you have cooked fished or other foods with smells that are hard to get rid of, do not hestiate to put lemon pieces on your cooker. You will realize that the slowly cooked lemon pieces will remove the unpleasant odors before you finish your dinner. In addition, you can benefit from lemon for removing odors from places such as garbage bins that smell constantly. Place a lemon peel at the bottom of your garbage bin. You will realize that the rotten smell will gradually disappear. Lemon can also act as a natural polisher for your dishwasher. In order to achieve this, you should not throw away lemons you have squeezed at your table. Instead, place the lemon pieces in your dishwasher and leave them there for five washes. Your dishes will be both brighter and smell nicer with a lemony aroma. 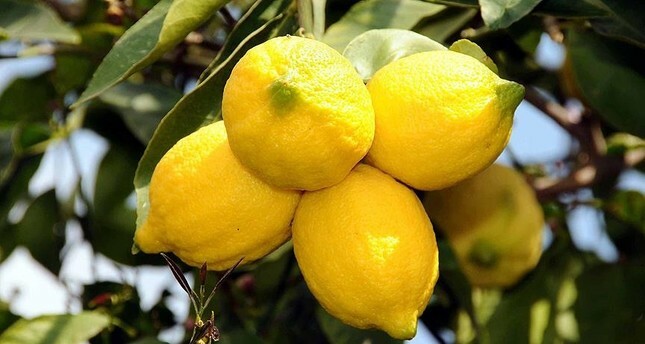 6- Miracle of lemon in skin careWomen in particular do not hesitate to spend hundreds of thousands of liras on beauty products. Yet, no matter how natural these products are, almost all of them contain harmful chemicals. It is possible to understand that they are not entirely natural from their expiry dates. Do not forget that natural materials start spoiling very quickly. Simple and low-cost skin care products you can prepare at home may help you stay young and beautiful while avoiding the harmful effects of chemicals. One of these cures is a honey-lemon mask. Mix lemon juice and honey in a small bowl, apply the mixture to your skin and wait for at least 20 minutes, then rinse with water. The lemon will make your skin shinier with its high Vitamin C content, while the honey will prevent the formation of acne thanks to its antiseptic quality and will also moisturize your skin. If you apply this mask frequently, you will have a healthier glow and smoother skin. 7- Lemon juice for nauseaNausea is a very discomforting condition that seriously lowers the quality of life. One of the most natural methods for getting rid of nausea without taking any medicine is lemon juice. Add a bit of sugar to lemon juice immediately when you feel nauseated and you will see how quickly you will start feeling better. 8- Lemon for healthy, strong nailsDipping your fingers in lemon juice and waiting for a while is an effective method of strengthening weak and fragile nails. You can dip your fingers in a bowl of lemon juice and wait for a short while in order to achieve this. If you do this regularly, you will notice your nails becoming stronger. Lemon juice will also help remove stains or color changes from your nails and you will have smooth and perfect nails. 9- Lemon for cleaning microwaveMicrowave ovens are now a part of our daily lives. However, as they are tightly sealed, the odor from the previously cooked meal is locked inside and causes permanent smells to develop. But it is very easy to improve this situation. Divide one or two lemons into halves and place them in a bowl suitable for microwave ovens with water. Turn the oven on for approximately 30 seconds and then wipe the inside of the microwave oven. You will see that those settled odors are gone. 10- Lemon: Natural wood varnishI believe most of you use natural wood varnish for your furniture or floor covering to make it look shiny and smooth. Yet, these types of products are hazardous to your health due to the chemicals they contain and it is better if you replace them with natural alternatives. A mixture of lemon and olive oil is just one of them. You can add one measure of olive oil and half a measure of lemon juice and apply the mixture on wooden surfaces.